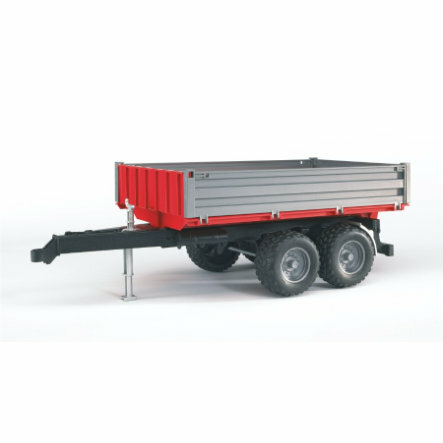 Small, mobile trailers are required for light-duty transport tasks in construction, agriculture and forestry. They must be suitable for several types of different vehicles, such as small tractors, Unimogs, light trucks, etc. Consequently, the platform gate trailer is ideally suitable for BRUDER tractors, the MB Unimog and Mercedes Benz Sprinter. All three folding platform gates and the extending outriggers ensure entertainment and hours of fun.